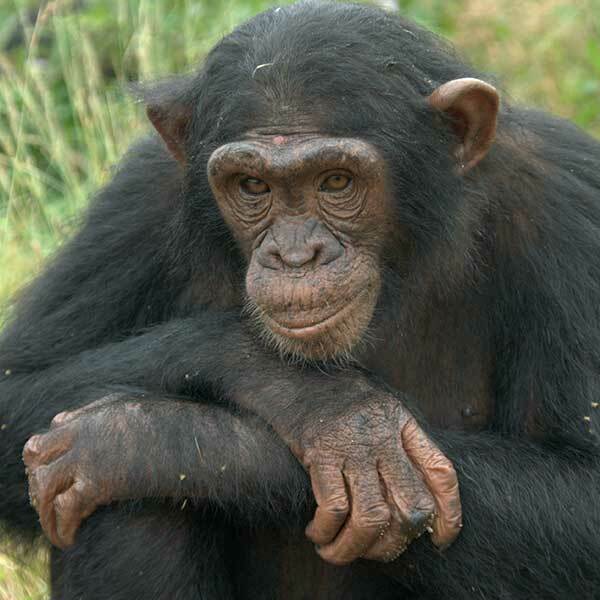 My name is Sara and I arrived at Ngamba in 2012 sick, dehydrated and with bald patches. Today I am healthy and I want to own everything I see. I want every stick, sack and swing that I can see! I can throw a bit of a tantrum if I don’t get what I want so I’ve earned a bit of a reputation as a diva. Sometimes the other chimps don’t want to let me have things and get mad but I can always run to my adopted Mom, Connie, for protection.